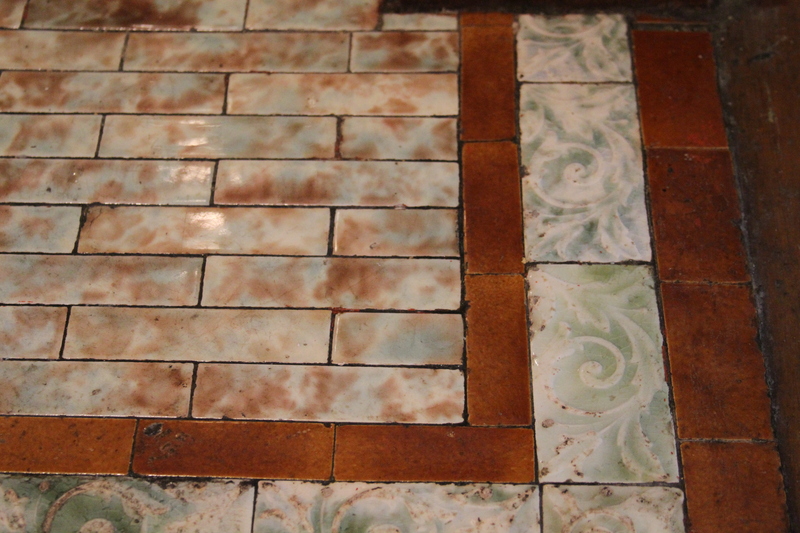 Varnish is splashed all over the tile. 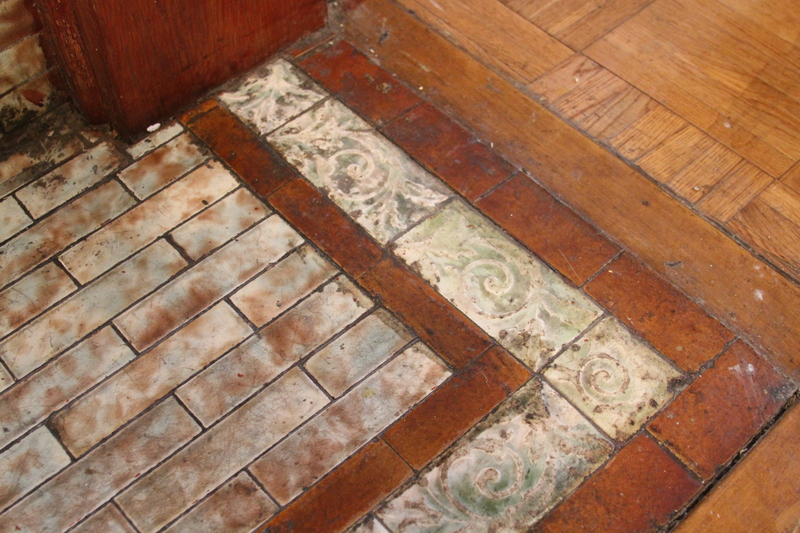 On the floor, the tile just looks sad. 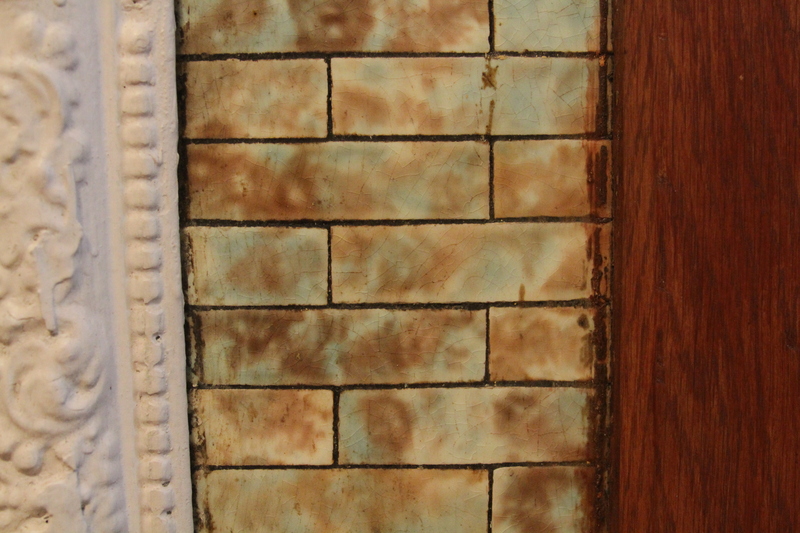 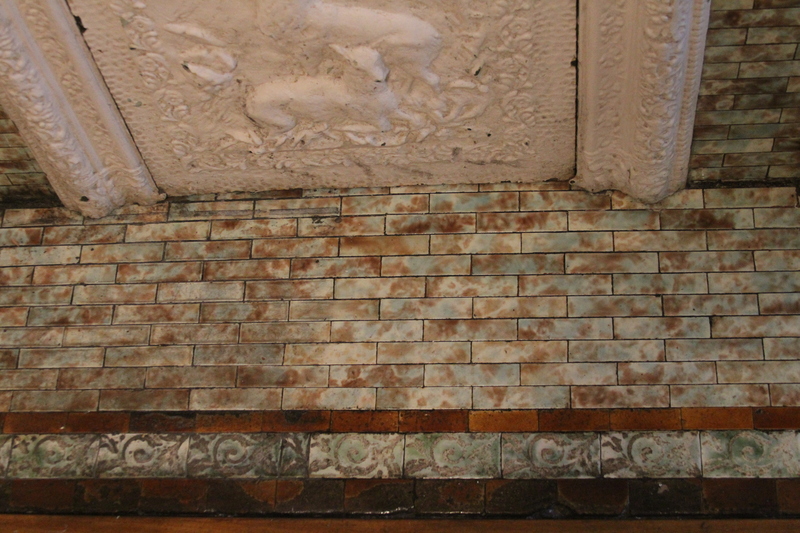 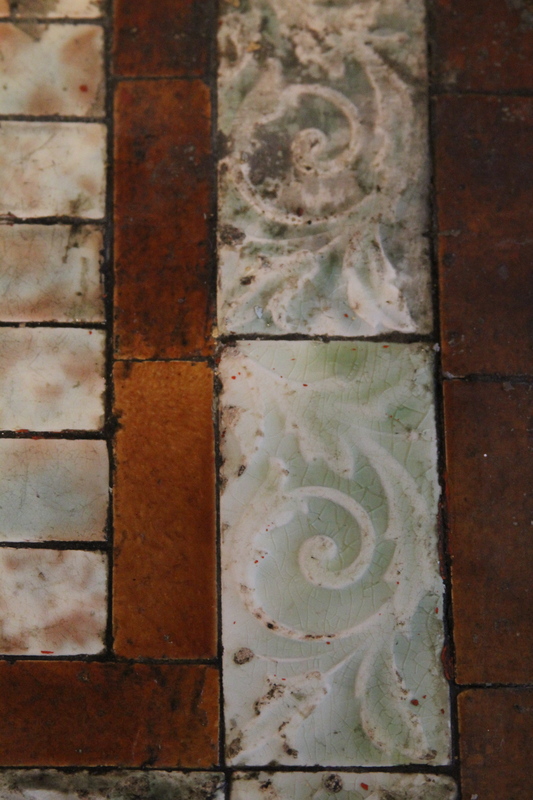 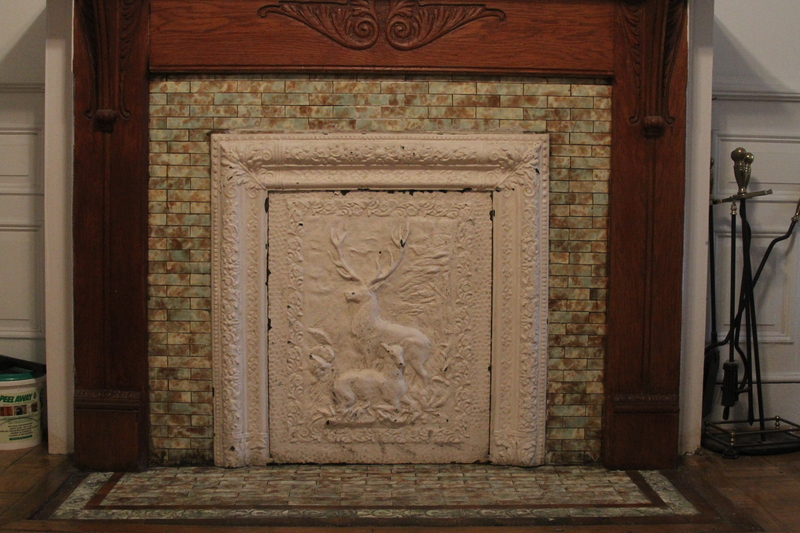 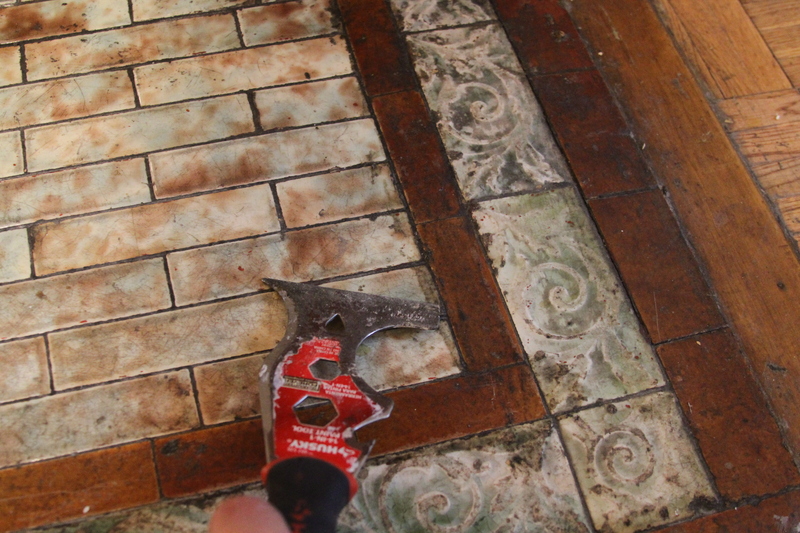 Sure, this tile is over 100 years old but it still has some life in it.